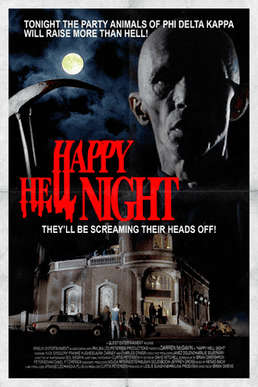 Happy Hell Night (also known as Frat Night) is a 1992 Canadian-American slasher film directed by Brian Owens and starring Darren McGavin and Nick Gregory. The film also features brief appearances by Sam Rockwell and Jorja Fox in their early careers. On Halloween night 1966, a priest named Zachary Malius murdered seven fraternity members from Winfield College who had broken into his family's crypt and recreated an occult ritual. Malius was incarcerated in an insane asylum for his crimes. Twenty-five years later during pledge week, the university students are preparing for hell night. 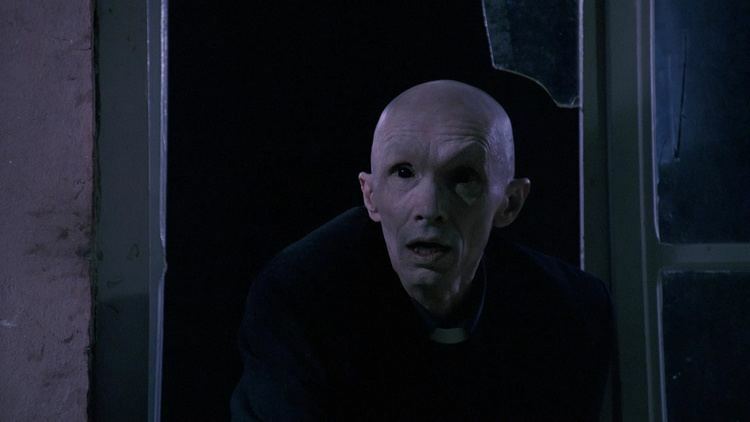 As an initiation prank, a group of students break into the asylum one evening to visit Father Malius, who has remained in a catatonic state for the past twenty-five years. Malius murders the students and escapes from the asylum. He returns to the campus, where he begins to murder the coeds. The film was shot in Toronto, Ontario, Canada, and was financed through Pavlina Ltd., a Yugoslavian film production company. 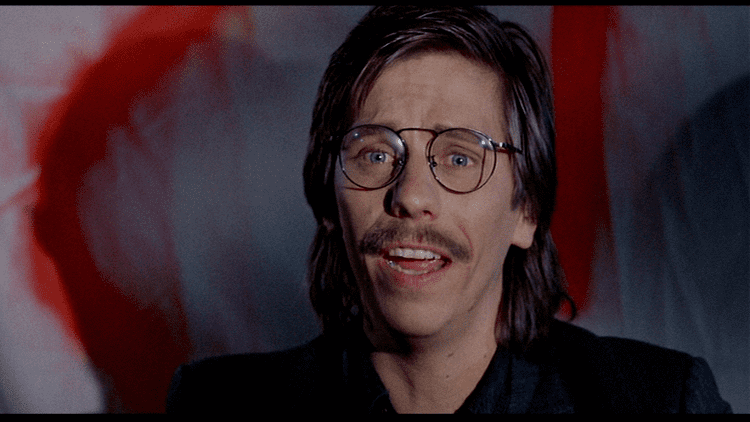 Happy Hell Night received a brief theatrical run in April 1992, and was released in the United Kingdom on video as Hell Night (not to be confused with the 1981 film of the same name). It was also released under the title Frat Night in Europe. 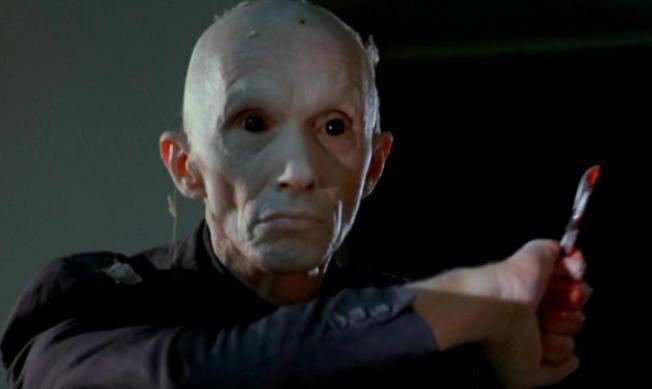 The film was released on DVD by Anchor Bay Entertainment on August 3, 2004. It was released for the first time on Blu-ray in a limited run by Code Red DVD on December 5, 2016, featuring a new 2k scan from the original vault materials.